The most commonly diagnosed vestibular disorders include benign paroxysmal positional vertigo (BPPV), labyrinthitis and vestibular neuritis, Ménière’s disease, secondary endolymphatic hydrops, and perilymph fistula. Vestibular disorders also include superior canal dehiscence, acoustic neuroma, ototoxicity, enlarged vestibular aqueduct syndrome, and mal de débarquement. Other problems related to vestibular dysfunction include vestibular migraine and complications from autoimmune disorders and allergies. "I can't do things I used to enjoy. 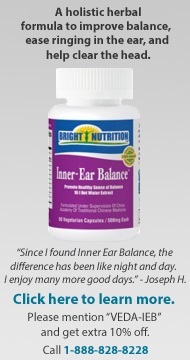 How can a problem with my ear affect my mood and concentration?" Vestibular disorders not only profoundly affect adults, but also children. Once thought to be exceptionally rare, pediatric vestibular disorders are receiving increasing attention from clinicians as an overlooked problem.7 In addition to impairments of motor development and balance, vestibular deficits may cause poor gaze stability that inhibits children from learning to read. Despite new awareness of pediatric vestibular disorders, children are currently not typically screened for them, and as a result frequently fail to receive medical treatment. Agrawal Y, Carey JP, Della Santina CC, Schubert MC, Minor LB. Disorders of balance and vestibular function in US adults. Arch Intern Med. 2009;169(10): 938-944. National Institute on Deafness and Other Communication Disorders (NIDCD). Strategic Plan (FY 2006-2008). Available at: www.nidcd.nih.gov/StaticResources/about/plans/strategic/strategic06-08.pdf. Accessed May 20, 2010. Ator GA. Vertigo—Evaluation and Treatment in the Elderly. Fife TD, Iverson DJ, Lempert T, Furman JM, Baloh RW, Tusa RJ, Hain TC, Herdman S, Morrow MJ, Gronseth GS. Practice parameter: therapies for benign paroxysmal positional vertigo (an evidence-based review): report of the Quality Standards Subcommittee of the American Academy of Neurology. Neurol. 2008;70:2067–2074. Neuhauser HK, Radtke A, von Brevern M et al. Burden of dizziness and vertigo in the community. Arch Intern Med. 2008;168(19):2118–2124. Ko C, Hoffman HJ, Sklare DA. Chronic Imbalance or Dizziness and Falling: Results from the 1994 Disability Supplement to the National Health Interview Survey and the Second Supplement on Aging Study. Poster session of the Twenty-ninth Annual Midwinter Meeting of the Association for Research in Otolaryngology, Feb. 5–9, 2006. Rine RM. 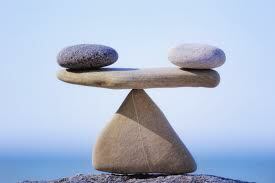 Growing evidence for balance and vestibular problems in children. Audiological Med. 2009;7(3):138-142.